Welcome—new attenders and support their connection to the larger church. Fellowship—build relationships around common interests or neighborhood concerns. Support—especially in times of crisis or transition. Celebration—significant events of members are recognized and celebrated. Each Sunday from 11am-12pm, we focus on encouraging adults to experience God in deeper ways. Class sizes range from just a few (3-5) to sometimes as many as 25. 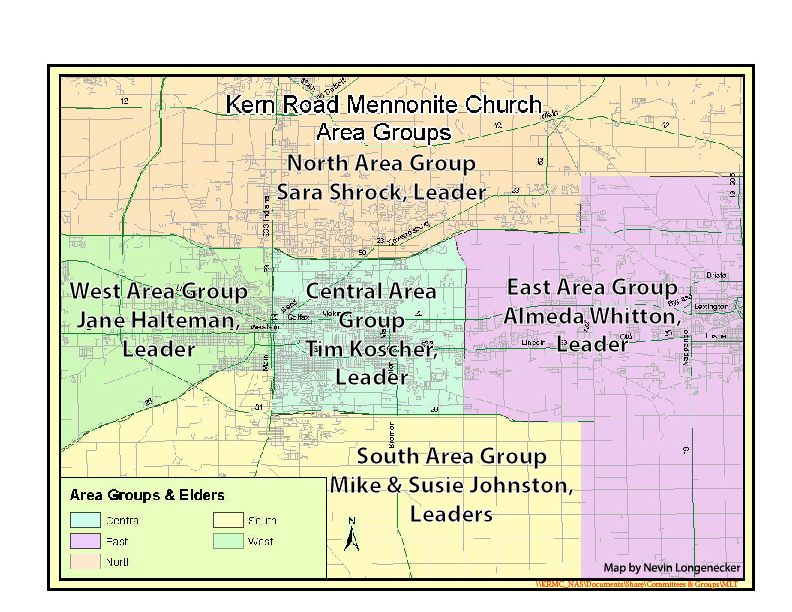 Sometimes these groups are age-based – young adults, seniors, etc. – but more often they are inter-generational, inviting you to share anything you might bring from your life experiences. Other groups often meet around particular interests or life experiences at other times than Sunday morning. Watch the announcements to find out how to be a part of these organically forming groups. The congregation has a lending library for adults and children located at the northeast corner of the building. Our library is up-to-date and easy to use. If you want to learn about Mennonite or Anabaptist theology and practice, our collection is among the best in the region. Our seniors/retirees gather on the second Thursday of each month for fellowship, breakfast, a reflection and sharing time, and prayer in one another’s homes. See the "News and Events" tab above for more information.